The city proposes taking down the Northern Avenue Bridge in sections that would be floated intact via barge to a city-owned storage yard in East Boston. The city of Boston has taken its first steps toward taking down the century-old Northern Avenue Bridge, which the Coast Guard has warned could collapse into Fort Point Channel due to severe deterioration. In a new permit application filed with the Army Corps of Engineers, the agency that oversees the waterway, the city proposes dismantling the bridge by disconnecting its three spans and transporting the pieces via barge to a city-owned storage yard in East Boston. Once transported, the pieces will be examined by engineers to see whether any can be saved for use in reconstruction, according to Bonnie McGilpin, a spokeswoman for Mayor Martin J. Walsh. Full dismantling of the structure — which is listed on the National Register of Historic Places and beloved by preservationists — could take up to three months, said city engineer Para M. Jayasinghe. It is expected to cost $15 million. While the bridge is being taken down, the channel would have to be closed to accommodate the work. 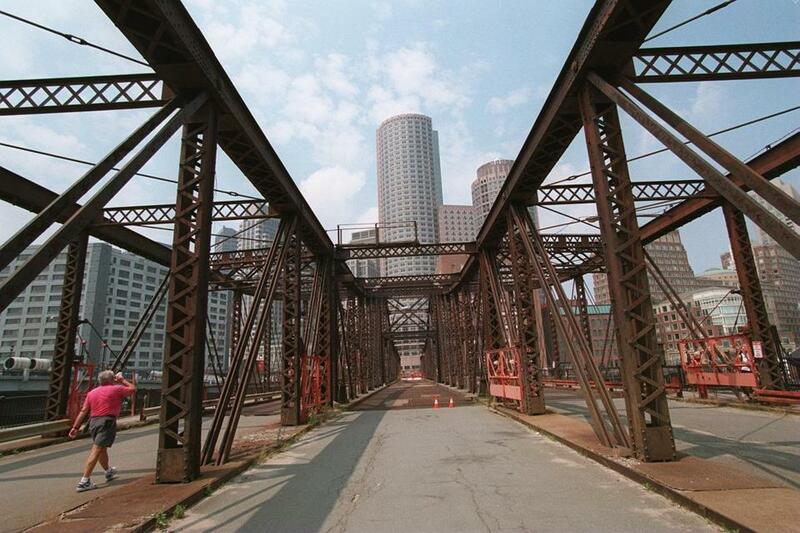 The city of Boston is planning to take down the deteriorating Northern Avenue Bridge starting in March, officials said Thursday. The historic structure, which connects the bustling Seaport to the Financial District, played a role in the agreement to relocate General Electric Co.’s headquarters to the Seaport, with the Walsh administration committing as much as $100 million for a new span. 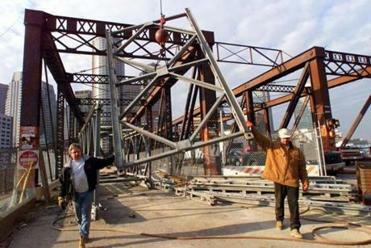 City officials closed the steel swing bridge to pedestrians in December 2014 and to vehicles in 1997 due to safety concerns. The permit application is the first of several federal, state, and local authorizations the city must obtain before any work can begin, said city engineer Para M. Jayasinghe. “We’re another 90 days or thereabouts before we are in receipt of all the necessary permits to move forward,” Jayasinghe said. Greg Galer, executive director of the Boston Preservation Alliance, called this a positive first step toward reconstructing the bridge and possibly even incorporating old pieces in the new structure. But the question of how much of the old bridge can be salvaged remains. “There has been no official commitment, and that’s part of where this is a concern and the next steps lie,” Galer said. The permit application does not specify when the city will begin rebuilding the bridge or detail what the new structure would look like. The public comment period on this permit application began Tuesday and runs through March 1.